An attempt has been made to evaluate the effect of deep cryogenic treatment on the corrosion resistance of rebar. Corrosion behavior of samples subjected to deep cryogenic treatment and samples tempered after deep cryogenic treatment was studied by linear polarization method. The Vickers hardness and ultimate tensile strength of the samples were also measured. 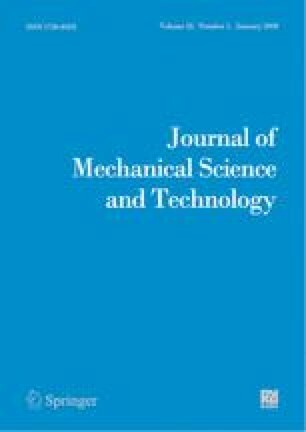 The possible mechanism for increase in corrosion resistance has been explained based on Scanning electron micrographs (SEM) and X-Ray diffraction (XRD) study. The morphology of the corroded surfaces of the samples was studied using Atomic force microscopy (AFM). It was found that there is 69 % improvement in corrosion resistance because of deep cryogenic treatment, further it was seen that the increase in corrosion resistance was due to the contribution of increased pearlite phase. Deep cryogenic treatment had no adverse effect on ultimate tensile strength and hardness, which are crucial properties to be considered for rebar. Srinivasagam Ramesh is presently working as Teaching Fellow in the Department of Mechanical Engineering, Anna University, Chennai, India. He obtained his Master of Engineering from Alagappa Chettiar College of Engineering & Technology, Karaikudi, India. His field of research interests include corrosion, cryogenics treatments for materials, material characterization, and optimization. B. Bhuvaneshwari worked as a Adhoc Scientist at CSIR- Structural Engineering Research Centre (CSIR- SERC), Chennai India and has more than 6 years of Research and Development experience. Her field of research interests include advanced composite materials, corrosion of metals, polymer synthesis and functional materials characterization. She has published more than 15 papers in various referred international and national journals, more than 40 papers in various Conference/ Seminar/Workshop proceedings. G. S. Palani is presently a Chief Scientist at CSIR-Structural Engineering Research Centre (CSIR-SERC), Chennai, India and has Research and Development experience of more than 25 years. His field of research interest include advanced finite element analysis, computational Structural dynamics, fatigue and fracture analysis, steel structures analysis, design & testing and material science. He has published over 60 papers in various refereed international and national journals, more than 110 papers in various Conference/Seminar/Workshop proceedings. He has 4 copyrights of software and 3 proceedings volumes to his credit. D. Mohan Lal is currently a Professor at the Department of Mechanical Engineering, Anna University, Chennai, India. He has been working in the field of Refrigeration for the past 25 years and has guided many M.E. Theses and 12 Ph.Ds. He has published 63 research papers in international journals focusing on heat transfer characteristics of refrigerants, heat transfer in nanofluids, performance assessment of refrigeration system. Nagesh R. Iyer is presently a Distinguished Professor in Academy of Scientific & Innovative Research (AcSIR) and former Director of CSIR-Structural Engineering Research Centre (CSIRSERC), Chennai and the Coordinating Director of CSIR Madras Complex. He has over 35 years of experience in the areas of Computational Structural Mechanics, Fatigue, Fracture Mechanics, Damage Mechanics, Damage Tolerance, performance evaluation & condition monitoring of structures and Structure-Interaction studies. He has published over 130 papers in national & international journals, over 175 papers at the national & internal conferences and 4 patents.